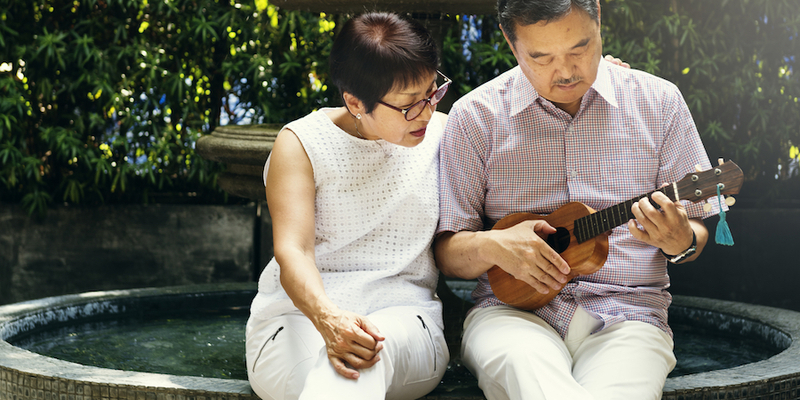 Are you looking for fun Ukulele Classes for older folks? The course is full of popular songs such as 月亮代表我的心 (The Moon Represents My Heart)! Ukulele is really easy and fun to pick up. It is also really great for maintaining motor ability in the fingers. We would love to get in touch with you. Contact us here! Flexible duration – How long do you need the class to be? Play a song within 1st class! The ukulele, or the uke, is a 4 stringed instrument that just about anyone can pick up. In fact, 2 of the chords that you will learn (C and Am) only require holding down one finger to play! It doesn’t get any easier than this. Ukulele is a very charming and portable instrument that will make any gathering an interesting one. This course will introduce you to the instrument, and bring your playing to the next level.